Replacing your car tyres can be a headache. Far from an everyday purchase and further from practical, in the UK a typical tyre will cost you anywhere between £35 to £150, depending on the size and manufacturer, meaning anything other than one single tyre replacement can hit your bank books hard. For this reason, it's becoming increasingly more important in times of strict austerity to ensure your tyres maintain in good health, making certain your car gets only the very best out of each of your tyres. Once again, we have rallied together to provide you with the top four most important tips in keeping your tyres in top quality, an endeavour that can add tens of thousands of miles to your tyres and a priceless ease to your mind. The pressure of your tyre WILL drop naturally the more it spins, due to the design of the tyre and especially after drastic temperature changes in the winter. A poorly inflated tyre reduces natural handling on the road, increasing your chances of accidents. From a cost perspective, an under or over-inflated tyre demands more fuel to maintain at a constant speed, meaning you're literally paying for every rotation when your tyre is not at correct inflation. What You Can Do: You will find the recommended pressure for your tyres in your user manual, or failing that on the underside of your fuel cap. It is recommended you check your tyre pressure every month to see it endures at optimal levels and minimising the risk of wear and tear damage to your tyres. Rotating your tyres is the process of switching the position of your tyres to even out the wear and tear they will endure due to the uneven balance of weight in your car and the natural wear from turning. 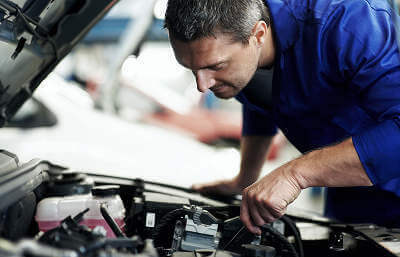 Depending on your transmission and the type of drive your vehicle possesses, the recommended patterns for these changes differ, meaning it is not as simple as switching back to front and vice-versa. See a full selection of diagrams displaying the recommended pattern relative to your transmission for more information. What You Can Do: Generally, we advise you rotate your tyres twice every calendar year. The valve is a critically important part of any wheel, not only for checking the current pressure of your tyre but for maintaining the pressure of the tyre itself. These valves WILL deteriorate over time from the sheer amount of force they find themselves exposed to on a weekly basis. As such, manufacturers such as Pirelli and Continental advise you should fit a new valve every single time a tyre is fitted to its wheel. What You Can Do: Considering you'll find a typical pack of valves online for little more than a couple of quid, it's a useful practice to undertake when considering the longer life of the tyre's pressure that you'll receive and the money you'll save as a result. The true alignment of your wheels is perhaps the most taken-for-granted aspect of car maintenance. Many folks choose not to invest in it or merely procrastinate in spite of the drift they're experiencing that comes from the resulting wear and tear of badly aligned tyres. Hitting curbs, potholes or even poor suspension are a few of the reasons your tyres can fall out of line, resulting in uneven tyre wear and increasing the risk of a loss of control on the road. What You Can Do: Driving consistently on perfectly aligned tyres has been found to add as many as 13,000 miles to your tyre life and with many garages offering the initial check-up for free now, it's an investment worthy of your time and effort, particularly if your car has suffered from any prominent bumps or knocks. Tyres need not become an expensive problem. Consistent care and maintenance of your tyres minimises the chance of a nasty shock coming your way the next time your baby goes in for its MOT. If you have been stricken with the news of failed or failing tyres, or you know someone who has, you can still minimise the damage to your bank book, grab a quote from us before suffering from hefty and potentially overblown fees from your nearest garage. Hopefully this post will bring you convenience, healthy tyres and a healthier wallet! What Tyres Are Right For Me?